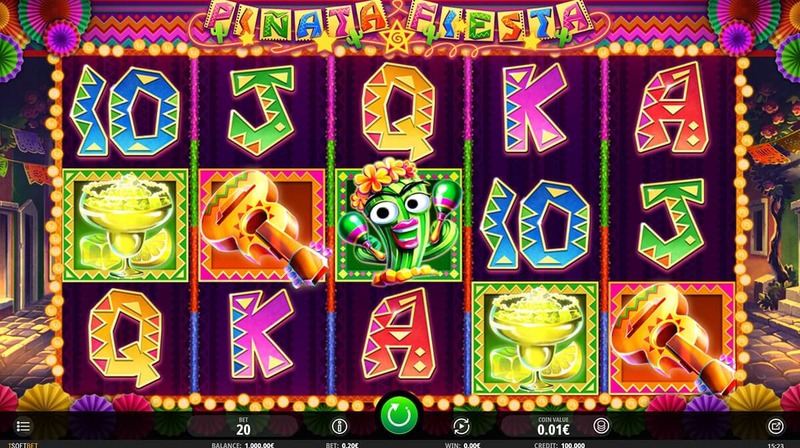 Piñata Fiesta by iSoftBet is a 5-reel slot that celebrates a Mexican feast. Piñata Fiesta from iSoftBet is a 5-reel and 20 paylines slot that invites players to a fun party of not only smashing piñatas and up to 20 free spins but winnings of up to 200 coins per payline! 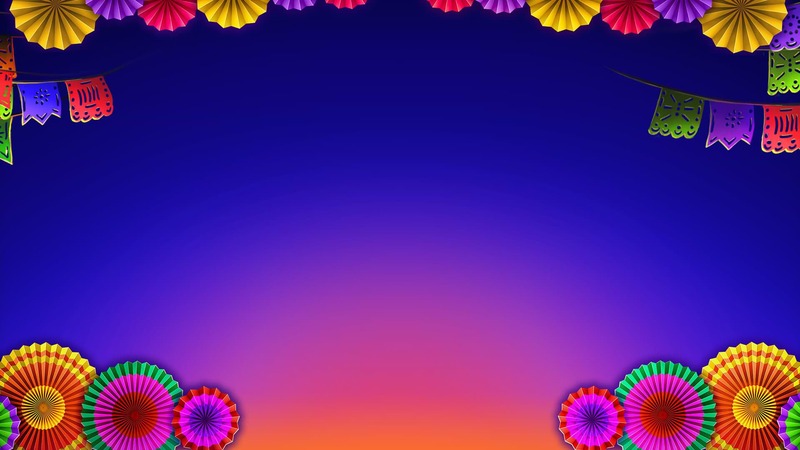 The theme of the game is unmistakably the Mexican custom of piñatas at festivals. The colourful symbols feature a rainbow-coloured horse piñata and a cool star as special symbols, a fiery chili pepper, a maracas-swinging jalapeño, a guitar and a Margharita cocktail for the higher payouts and the familiar poker symbols for the lower payouts. The slot is accompanied by great music and entertaining animation and sound effects that are triggered by winning combinations or special features. The cool star with sunglasses is the wild symbol, and he can stand for all other symbols to create winning combinations, with the exception of the piñata scatter symbol. The funny graphics and happy music provide a lot of entertainment. The colourful piñata is the scatter symbol, and if you get 3, 4, or 5 anywhere on the spaces then you are awarded 10, 15, or 20 free spins. In free spins, the probability of triggering the Piñata Spin is higher. At the end of the free spins, you also have the chance to win additional free spins by destroying one of the displayed piñatas. During the Piñata Spin, a piñata may randomly appear during a game round. You then have to smash them and start one of the following features: The Mega Spiñata, where reels 1, 2 and 3 show only huge symbols; the Grande Reels, where a random number of reels are turned into wild reels; the Fiesta Frenzy, in which all lower-order symbols are transformed into the same higher-order symbol; or Popping Wilds, where balloons hovering over the reels can add additional wild symbols. 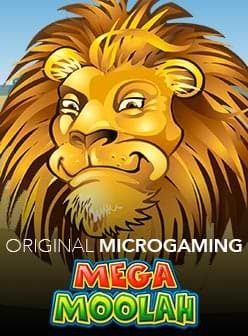 The game offers interesting features, including up to 20 free spins and the Piñata Spin with random features. The Piñata Fiesta slot has a theoretical return to player (RTP) of 96%. 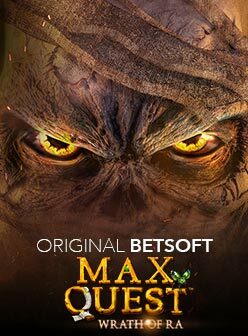 You can play the game on the go on iOS and Android smartphones or tablets, or in your cosy home on your computer. The slot can be played with stakes of between €0.20 and €20. It may take some time for the free spins to trigger, but if you're lucky enough to get multiple piñata spins, they may be worth it. You too will soon be able to experience this fun Mexican celebration, as the game will be available in casinos from April 18th, 2019. We will introduce you to the best casinos for this Mexican Fiesta.